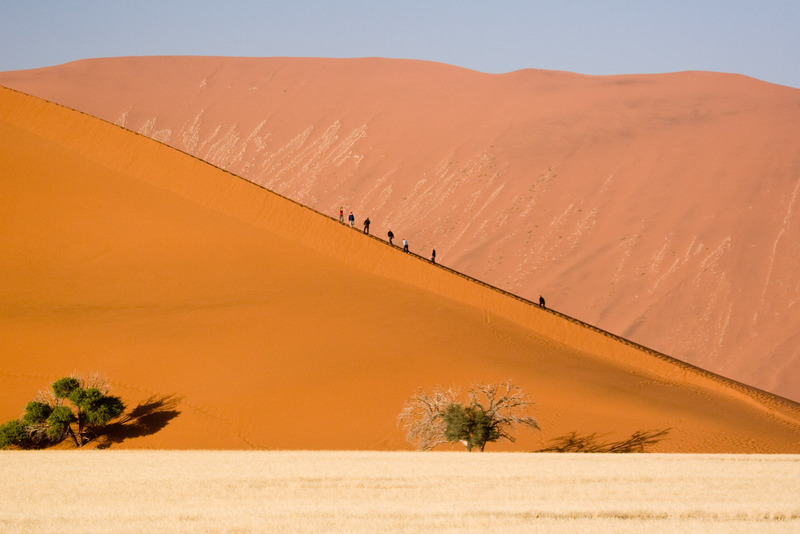 The towering red sand dunes of Sossusvlei in the Namib Desert are one of the most spectacular sights to be seen in Namibia. 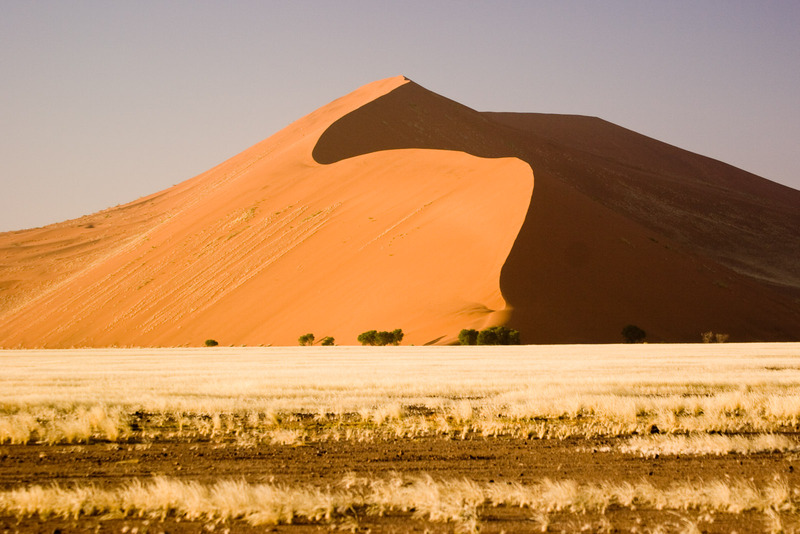 Sossusvlei itself is a clay pan fed by the Tsauchab River. 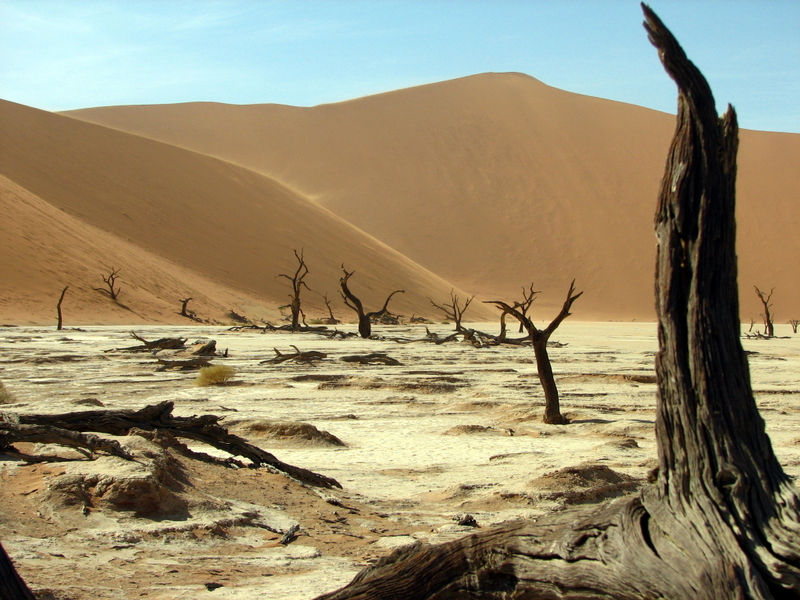 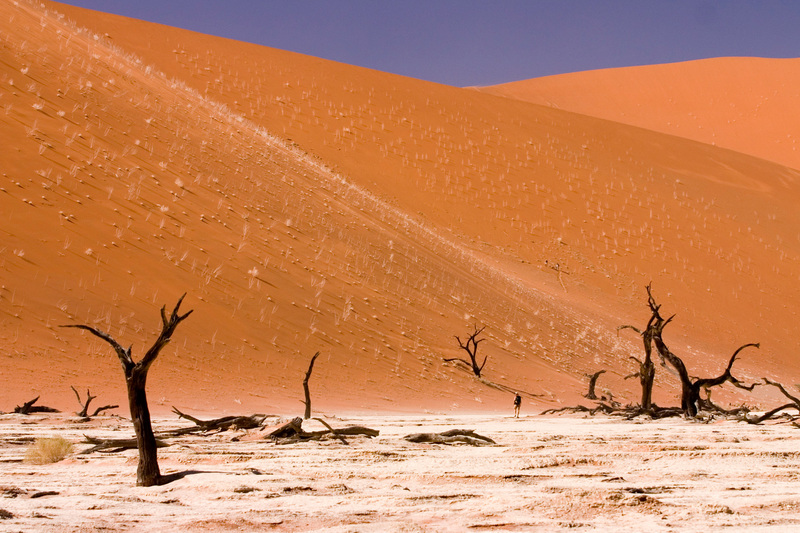 In addition to the sea of red sand dunes, Sossusvlei is also home to the Dead Vlei, meaning “dead marsh”, an eerie white clay pan filled with dead Camelthorn trees. 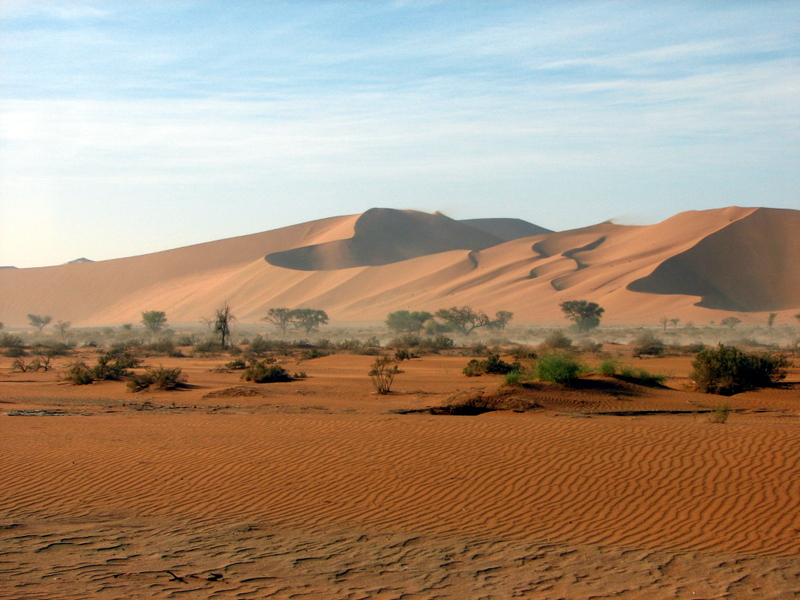 This area is contained within the Namib-Naukluft Park which is in turn a part of the Namib Desert, the oldest desert in the world. 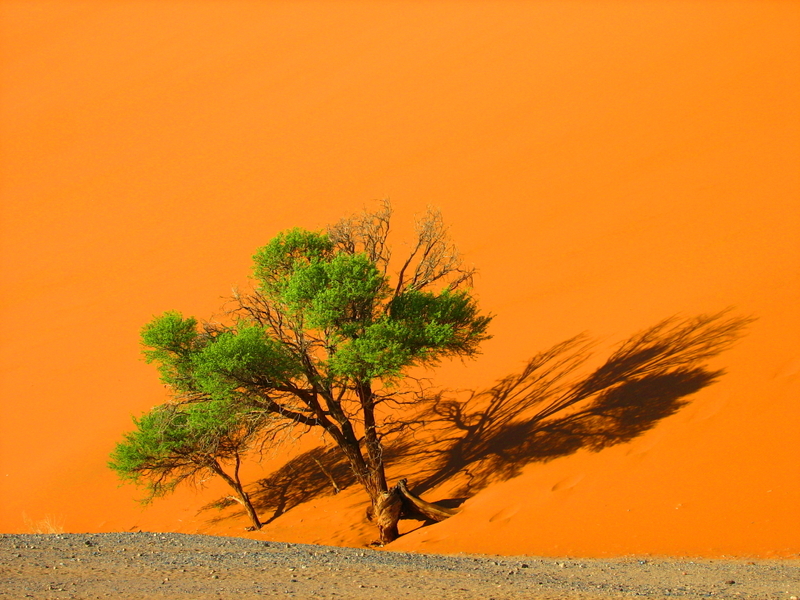 The best time to visit Sossusvlei is at sunrise or sunset when the colors are the most vivid and the sun is not too hot. 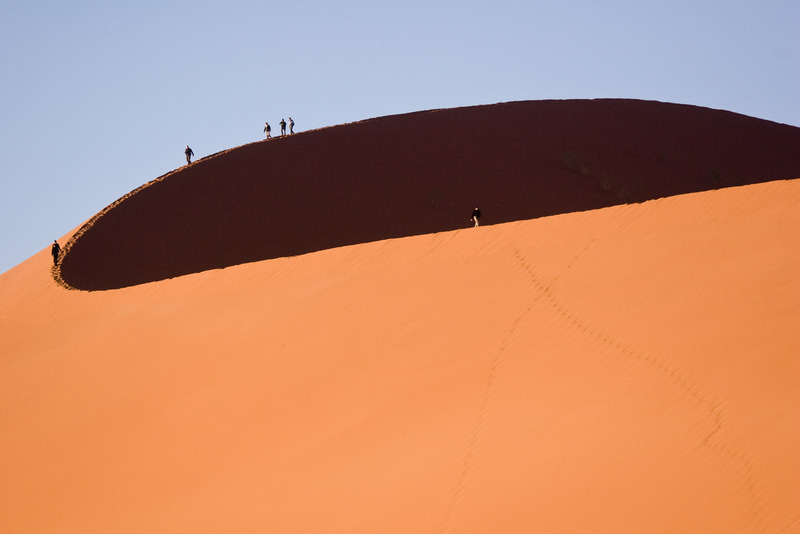 Accommodation near the area ranges from luxury resorts, to mid-range lodges, to numerous campgrounds. 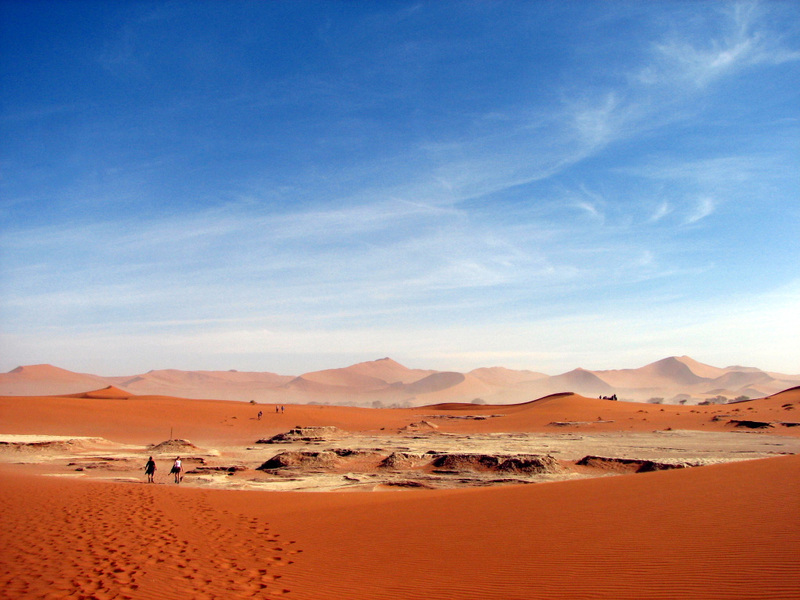 home is always the most beautiful.